Real talk: if you’re hatching plans to begin marketing on YouTube this year, you need to be savvy about it. YouTube has more than 50 million content creators churning out videos regularly, so your own content has to stand out. Another challenge? Reaching and engaging your core audience. 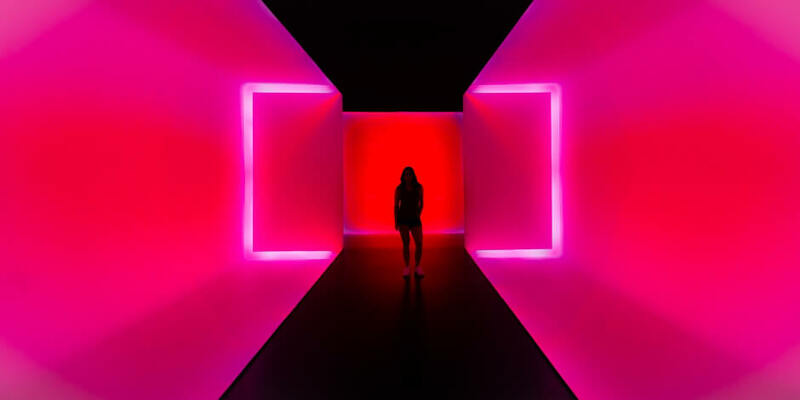 The majority of YouTube viewers aren’t huge fans of advertising, so you’ll have to think carefully about how you’re going to raise awareness about your brand while keeping viewers entertained. Before you do anything, open a Brand Account on Google. When you create your YouTube channel using a regular Google account, only one person—the Google Account holder—can log into that channel. By creating your YouTube channel using a Brand Account, multiple authorized Google Accounts can log in simultaneously. YouTube channels have a lot of moving parts, so you’ll want at least one or two other people helping run the show. Check out our step-by-step guide to creating a YouTube for business account for detailed instructions on how to do this. Your YouTube channel for business gives you access to the Analytics tab, which contains a ton of stats related to your channel. Look here for quantitative insights on your channel and your audience’s behavior, including your view counts, average watch time, revenues generated, and interaction rate across videos. The Analytics tab also contains valuable data on your subscriber demographics. 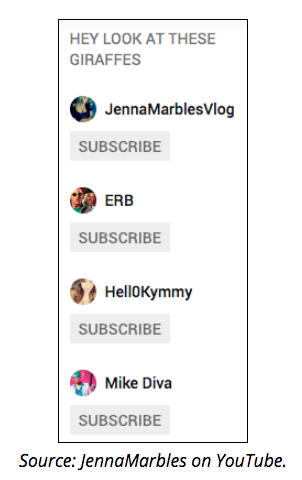 Even if you think you know who your subscribers are, pay close attention to what you find under the Demographics tab. This data will help you move beyond assumptions and feel confident that you’re reaching the right audience. Where are your videos being viewed, and when? What age are your viewers? What gender do your viewers most commonly identify as? Tracking audience analytics is a win-win. If your assumptions about your subscribers are confirmed, that’s great: you’re now certain you’re reaching the right audience. If your assumptions were incorrect, you know to adjust your content strategy to reach the audience you want. On the other hand, you may learn that your product is resonating with an unexpected demographic—valuable info for your entire marketing team. Beyond quantitative metrics, you can also gain qualitative information—the whys and the hows—about your audience by reading and managing the comments on your videos. Reading the comments isn’t always fun, but the information you find here will be invaluable for informing different aspects of your marketing strategy, both on and off YouTube. Hot tip: the YouTube Community Page is an underrated space for finding out about your audience. Located under the Community tab on your profile, you can interact with your subscribers directly. Post questions or create a poll to gain a deeper understanding of how your audience thinks. Competitive analysis is essential if you want to pull ahead of other businesses in your niche on YouTube. Fortunately, a lot of the information you need to identify potential opportunities is readily available on their channels. Browse your competitors’ YouTube channels and take note of which videos got the most and least views. 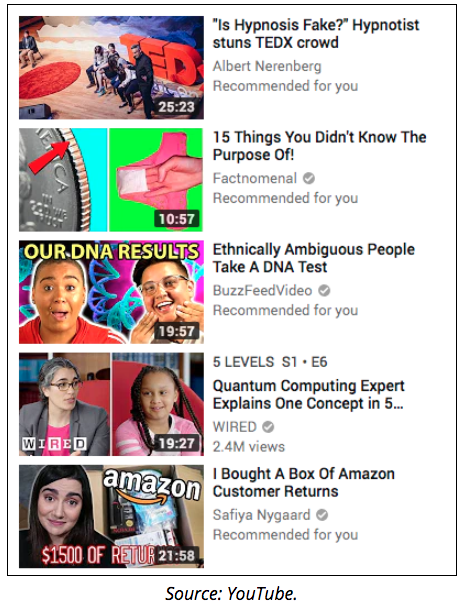 Watch these videos get a sense of what kinds of content your audience likes to watch (and what they don’t) and use that to inform your own content strategy. As with your own videos, roll up your sleeves and read the comments on competing videos. Maybe your own brand has received a mention; if so, make sure to respond so potential customers can see you’re actively engaging with your community. Read competing video descriptions to see what keywords they’re using in their YouTube search optimization. Use similar ones to boost your ranking in YouTube’s search pages and recommended video feeds. One final note: make sure your competitors aren’t serving ads on your videos! If they are, it’s possible to block them in Google’s ad manager. More on that here. When you’re watching YouTube on your own time, ask yourself: What about this video holds my attention? What keeps me coming back to my top channels? Paying attention to your favorite YouTubers will reveal the techniques and best practices they follow to drive views, subscriptions, and engagement. Even if they’re not technically within your business niche, it’s possible that you can adapt your favourite YouTubers’ strategies to increase your own YouTube following. Don’t be afraid to try out some of the weirder trends, either: it worked for these brands. Besides being a huge source of of inspiration for your own viral videos, it’s also worth remembering that YouTube is an incredible resource for self-starting learners. There are hundreds of YouTube channels that will straight-up tell you how to be a successful marketer, no guesswork required. We put together a list of the best YouTube channels to help you up your digital marketing game. Your YouTube videos need to be optimized for search if you want to get the most value out of them. But don’t worry if your first few videos fail to gain a lot of traction. You can work on tweaking and perfecting your YouTube SEO over time. The first step to optimizing a YouTube video is to pick an appealing title containing relevant keywords (I like to use Google Adwords Keyword Planner for this). Make sure the title is relevant to the video topic: nobody likes clickbait. If you can, try to include exact keywords matching common search terms: it will get you more clicks. YouTube video titles can contain up to 70 characters; we recommend 60 or fewer so nothing’s cut off on the search pages. When you upload a video you can choose a freeze-frame to use as the thumbnail. However, we strongly recommend making your own custom thumbnail, as it’ll help your content stand out. Your video description should contain a short explanation of your video topic, as well as links to your website and social media accounts, and a list of hashtags (more on those in a minute). Hashtags make your content more searchable on YouTube. Pick a small number of hyper-relevant hashtags rather than an exhaustive list. If you use more than 15 hashtags, all hashtags on that video will be ignored anyway, so be selective. Oh, and remember to follow YouTube’s hashtagging rules. Cards, bumper ads, and watermarks are clickable CTAs you can add to your YouTube videos. These are effective because they’re relatively unobtrusive, offering minimal disruptions to the viewing experience. Cards: small, transparent CTAs that expand when clicked. Use these to direct viewers to your website, purchase pages, or even other videos on your channel. Bumper ads: six-second video ads appearing at the start or end of a video. Watermarks: custom subscribe buttons visible only to non-subscribers. To add them to your videos, follow YouTube’s simple instructions. Sometimes, the easiest way to get what you want is to ask for it. There’s a reason every YouTuber ends their videos with a verbal call to “Like, share, and subscribe”—it works, and takes zero effort. Once you’ve created a few well-optimized videos, it’s time to put them into rotation. So what’s the best way to schedule your YouTube videos? As a platform, YouTube’s almost as popular as television. And many of your subscribers will treat your YouTube channel like a TV station—so you should run it like one! Be professional and share content on a regular schedule. If you promise your subscribers they’re getting a new video every Saturday at noon eastern, you have to commit to that, or risk losing their trust (and their views). TV studios offer a useful model for content creation, too. Make sure you’ve got several “episodes” of content ready to schedule ahead of time. Besides giving you a Plan B if your video creation schedule is disrupted, creating multiple episodes in advance generally means your videos will be more consistent in quality. You can upload and schedule your YouTube videos in advance from the Creator Studio, or with a tool like Hootsuite, which allows you to cross-promote your video releases with posts on other social channels all from the same dashboard. Read more about how to schedule YouTube videos. After you’ve optimized your videos, you’ll need to optimize your YouTube channel itself. By providing a consistent experience across your channel, you’ll be able to bring in more views, and more importantly, convert those views into regular subscribers. You can also add a list of Featured channels to your YouTube profile. Your list of featured channels gives your subscribers easy access to other YouTube resources they might be interested in, adding value to your page. This might sound like you’re giving free advertising to your competitors, but you can actually benefit from doing this, too. Remember, YouTube is a community. Networking with different channels will help you forge relationships with other creators in your space, providing you with opportunities for cross-channel promotions or other collaborations in the future. When you make friends on YouTube, everybody wins! When your YouTube videos are organized into playlists, they’ll autoplay until the playlist ends, keeping viewers on your channel for longer, increasing that important average watch time statistic on your channel. You can build playlists on YouTube, or you can manage them using Hootsuite. Curate your playlists thoughtfully. Make sure there’s a logical progression of ideas from one video to the next. This will reduce the likelihood of people clicking away to another channel. You can build playlists entirely using your own videos, or include partner videos. Similarly, if you’ve started networking with other YouTubers, see if you can persuade them to add your videos to their playlists. Remember to include relevant keywords in your playlist titles to boost your YouTube SEO! According to YouTube, more than 60% of a YouTube channel’s views originate outside the creator’s own country. 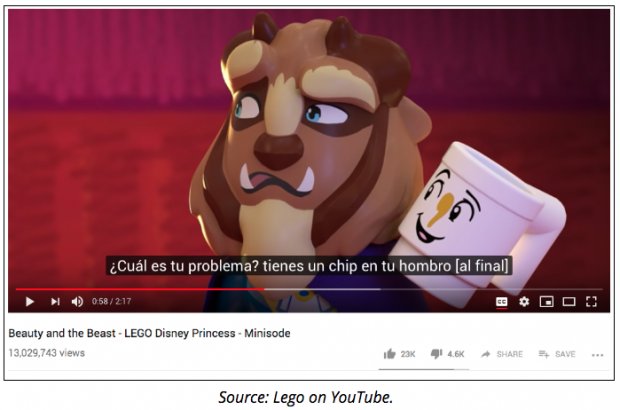 Expand your reach by adding subtitles to your YouTube videos. Click your account name in the top right, and navigate to the Creator Studio. In the menu to the left, click Translations & Transcriptions > Community Contributions. Click Turn on for all videos to enable community contributions. This feature is also available on a per-video basis, which you might want to start with if you’re trying it out for the first time. Approving the translations is simple. YouTube’s interface shows a Google-translated approximation of the translated text so you can ensure the translation is on-topic and makes sense. Crowdsourced content isn’t foolproof and won’t always offer the best quality, but it’s a good starting point for internationalizing your channel. Your YouTube channel isn’t the only place people can see your content—if you’ve got the funds, you can also pay for YouTube advertising. For more info on YouTube’s ad formats and how to use them, check out our detailed guide to YouTube advertising. With YouTube advertising, the key is to produce relevant, engaging content that makes viewers forget they’re watching an ad. Generally, that means keeping things short, entertaining, and hyper-targeted. One of the best ways to showcase your products on YouTube is by working with an influencer. According to Google, 60 percent of YouTube subscribers trust the opinions of their favorite influencers. Tapping into an influencer’s tuned-in audience can result in huge returns: just look at Warby Parker, whose partnerships with YouTube and Instagram influencers grew their brand significantly. They are now worth $2 billion. Reach out to influencers who already know and trust your brand. Most YouTube fans are savvy enough to recognize a paid partnership, but if the influencer is honest and upfront about their love of the brand, the “sponsored” aspect won’t matter. When it comes to these partnerships, let the influencer do the talking. The more control you try to exert over the partnership, the more you’ll impact the influencer’s brand, making the whole effort less genuine—and their followers will see it from a mile away. So, you’ve built up your YouTube channel, you’re publishing content regularly, and forging partnerships with influencers and other creators in your field. Congratulations—but you’re not done yet! I said this before, and I’ll say it again: read the comments! This is the best way to learn exactly what your audience thinks of videos, and your channel as a whole. You might even find concrete suggestions about which video you should make next! Before I sign off here, I wanted to provide a quick rundown of ways you can create videos that keep people coming back for more. Unfortunately there’s no way to predict whether a video’s going to go viral—most social video marketers don’t bet on virality anyway—but you can still optimize your content to maximize views and shares. This tip is quite literal: if you’re producing original content, shoot your videos in HD, and invest in a good quality microphone. Your content will look and feel much more professional. Mobile playback accounts for more than half of videos watched on YouTube, so it’s crucial to record content that’s optimized for this format. One of the best ways you can do this is to make videos that work with or without audio—85 percent of YouTube videos are watched without sound! Another way to optimize for mobile is to record short videos (three minutes or less). These don’t use as much data and can be enjoyed more easily on-the-go. This isn’t to say mobile users don’t enjoy longer videos too—the average mobile viewing session is over an hour! This is a matter of simple math: longer videos = more watch time, which is better for YouTube SEO. You can also pack more value into a longer video, provided it’s well-paced and well-scripted. See how some brands, like AirBnb and Hyundai, are pivoting to long-form video. Live streams are a great way to reward your most loyal subscribers. Advertise the event ahead of time and use your YouTube Live to interact directly with your audience. You could even use live streams to gather feedback on your regular videos. Get some other ideas for live video content. End screens are essential for expanding your viewership. Add calls-to-action to visit other videos or playlists on your channel, subscribe, or direct viewers to your website. Check out this article for information on adding end screens (as well as further Youtube growth hacking tips! ).